Ultra B.V. 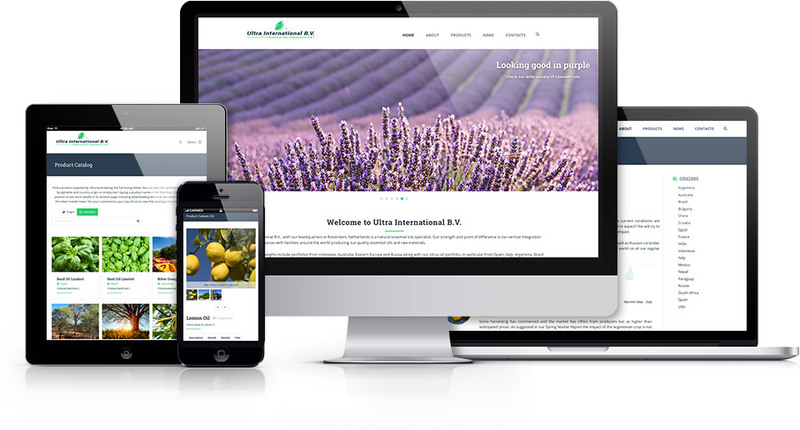 Launch New Website - Ultra International B.V.Ultra International B.V.
Ultra International B.V. is pleased to announce the launch of our new website. Designed to be a daily tool for our industry, the website is created with the market in mind, providing a platform which all end-users, traders and producers can use the information as a market guide. On the website you can find out more about the Ultra Group, the Ultra team, our products, the market and the Sanganeria Foundation for Health and Education (SFHE). Within in the product area are detailed descriptions of our key products, including downloadable documents along with all the latest market information for each product and region. You will also find the site Smartphone friendly so you can carry this directory and resource with you no matter where you are – try it on your iPhone and save a link to your favourites!! Every Ultra Market Report, Elementary Essential Oils article, company news and product page will be continually updated so don’t just visit once – use this as your daily guide to everything you need to know in the naturals market! !